Yes, that's my real full name. Welcome to my blog, it's all real and raw. Studying for a make-up history quiz today. "Damn it, how he nicks 'em"
This is during the time of the Embargo Act. 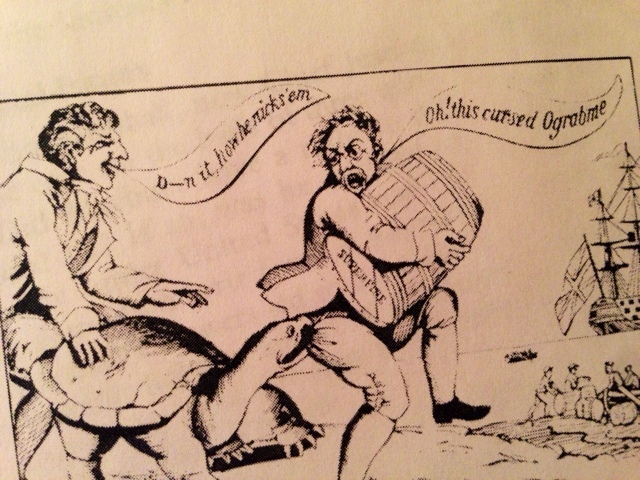 The turtle represents the US government, and the people are trying to trade with England but can't, because of said Embargo act. Ograbme is embargo backwards. Pretty exciting stuff, I'm tellin' you.